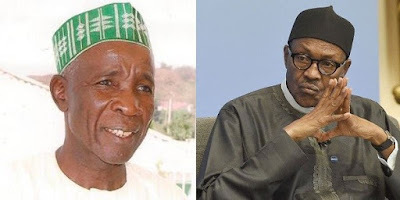 A spokesperson for the Peoples Democratic Party presidential campaign, Buba Galadima, has accused the administration of President Muhammadu Buhari of illegitimately enriching some of the President’s relatives. Galadima, who spoke on Sunrise Daily, a live programme on Channels Television, on Wednesday, alleged that some individuals close to Buhari, who were poor in 2015 when the President assumed office had somehow become owners of choice houses in the President’s hometown of Daura, Katsina State. The PDP campaign spokesperson made the accusation while engaging in a debate with an All Progressives Congress member, Senator Ayo Arise, who had faulted the amendment process of the Electoral Act. Arise, who is also a former Senator representing Ekiti North Senatorial District, said, “If the President says, ‘I will allow a free and fair election, there is the propensity for people to trust him more than the other candidate in this country that is currently running because he has demonstrated it times without number that he has integrity. But Galadima stated that the President had not shown any sign of integrity, adding that several of Buhari’s relatives had become significantly wealthier in the time he has been president. The PDP campaign spokesperson said, “I can’t see any integrity whatsoever on the side of Mr President. Which integrity? Somebody who condones corrupt people around him. We know of his relatives. We know of his friends who were bankrupt before 2015. “We know of his relatives who took N2,000 transport money from us to go to Kaduna. Today, they are multibillionaires. They have assets all over the world. They have estates all over the world. I can show anybody that wants to know. So, the issue of integrity with this government is not an issue.